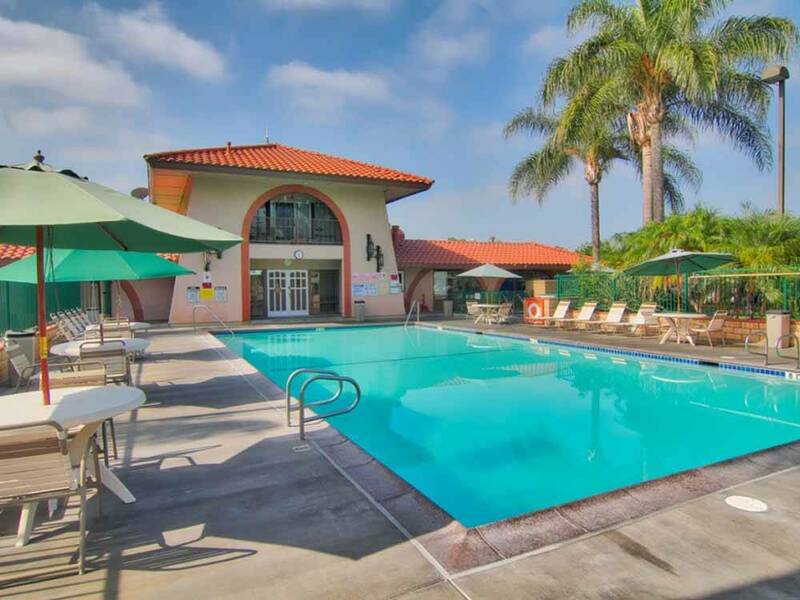 We are in the heart of Orange County within walking distance of the Honda Center, Angel Stadium, movies, dining and more. Take our shuttle to Disneyland, pick fresh oranges at your site or just relax in the pool and spa. This is a very good park to stay at. It is close to Disneyland and all the parks, the staff is very helpful & you can pick the fruit from the trees. The sites are a little close but the pool & spa were very nice. They even have the playground covered from the weather. The dog parks are fenced, but need to be redone cause they stink of urine. We decided to take the kids on a last minute Disneyland trip. 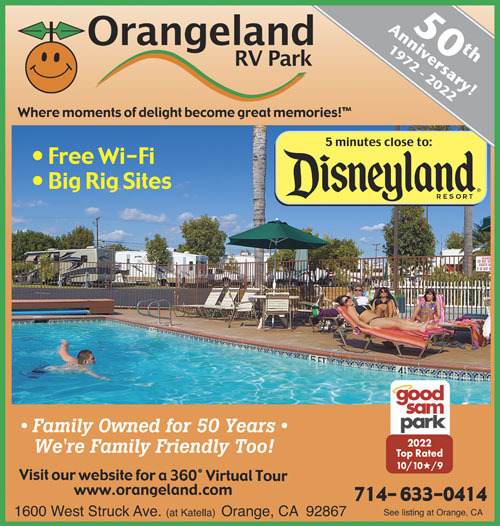 Although it was last minute, the front desk at Orangeland RV Park was very helpful and accommodating when I called to make a reservation. When we got there, we had a great spot and the staff helped my husband back our 5th wheel in (even though he swore he could do it himself :) LOL). Our 3 kids are under 5 years old and they had a blast in the pool, play area and riding their bikes. I was able to get needed items at the little grocery/souvenir shop they have in the park. The facilities and staff were awesome. Will definitely recommend to our friends and stay there again. Thank you Orangeland for being very hospitable. Only stayed one night as we were passing through. However even though the parking spots are realitively close together the attendants are more than helpful placing you into them. You would think the noise would keep you awake, I was totally wrong. I slept like a baby. We did not use the pool, hottub or any of the abundance things to do on site, but all look clean and serviceable. If I had to say something CON about the park it would be the area for pets. It is a small gravel area the size of a normal parking spot, and with the "downtown" location of the park being able to get the energy out of your four legged child is a challenge. The people working there are some of the friendliest people that I have met in California well worth the overnight stay fee. We would stay again if the need arises.